Derek Bell in his studio. Photo by Jack Rowell. AVA’s Carter-Kelsey building is home to 20 beautiful artist studios that feature high ceilings, hardwood floors, natural light, and an enthusiastic community of resident artists – all in our LEED Gold-certified “green” building. 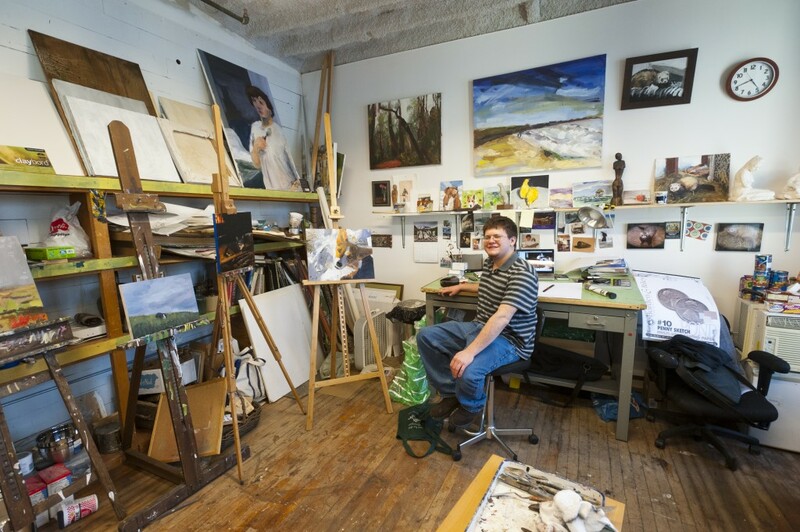 Artists and craftspeople: If you are interested in having a studio at AVA and would like more information or a tour, please email studiorentals@avagallery.org for more information or call Northern Equities at (603) 448-1855.